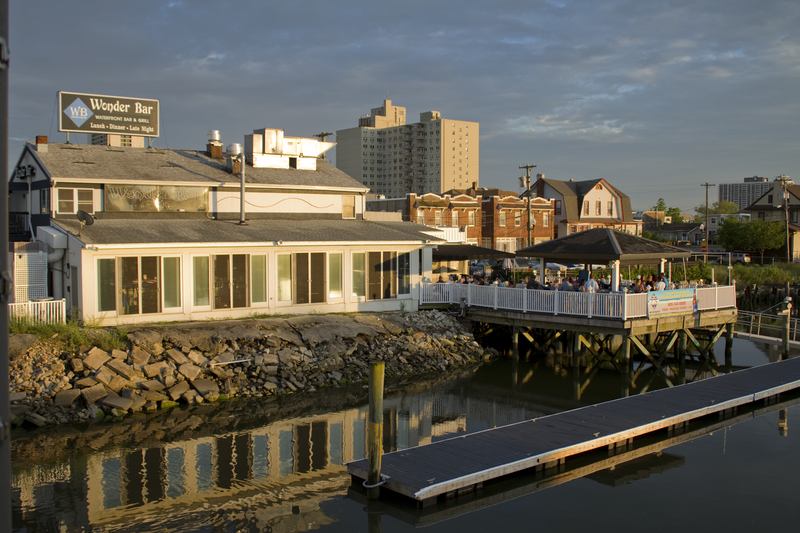 Come by land, boat or waverunner and join us for great food and drinks at Wonder Bar in Atlantic City, New Jersey. Our waterfront location on the bay is a great place to spend time with friends and family. We're just steps away from the beautiful sands of the Atlantic City beach and Boardwalk. Enjoy cocktails and food on the deck, at our Tiki bar or inside our newly renovated bar overlooking the bay. You can see the water from every seat in the house! Picture yourself drinking a Tito's Tropical at our Tiki bar while gazing out at the bay. Wonder Bar is an ideal setting for enjoying the scenery while sipping on an exotic cocktail, hard lemonade, beer or wine. We offer weekly drink specials and daily happy hours so you and your friends can laugh, catch up and have a good time while enjoying an American Lemonade, Lemon Drop Martini, Coco-Pina-Rita or something less exotic. We offer three daily Happy Hours from 4pm-7pm, 10pm-12am, and 2am-6am. Teacher Appreciation Happy Hour every Friday during the school year! Come to Wonder Bar in Atlantic City to wine and dine while viewing sports, catching a sunset or just enjoying the waterfront view. We look forward to seeing you here!